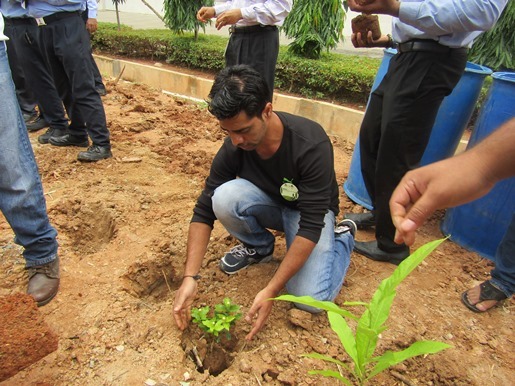 One year after hosting our first event to plant trees and expand our local green spaces, Syniverse’s Bangalore office recently participated in its second tree planting. The experience proved to be just as rewarding as the first, and it’s my pleasure to share some details from it in this post. In the last few years, our office has begun to see more clearly than ever the importance of protecting our local environment. While the economy in India continues to grow, this rapid expansion has also brought to light some of the increasing demands being placed on our environment, such as the need for new building construction and urban development. One result of this is that we’ve seen the important need to preserve and expand the local green spaces in our community. 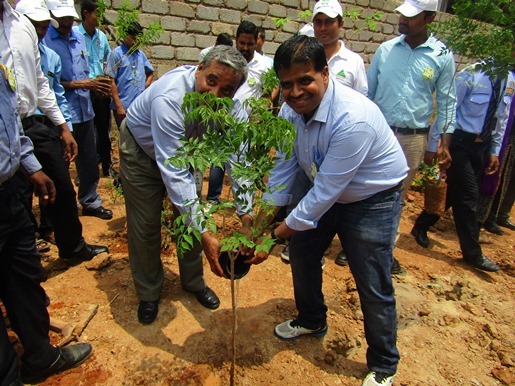 To do our part in this, on June 3 our office participated in a tree planting at an empty lot directly beside the parking area of our office building in Bangalore. We partnered with a team from the company that owns our office building and together planted about 100 saplings to bring this space to life. Me positioning one of the new trees. Two team members give water to a freshly planted tree. Giving a helping hand to a young tree. The planting was held on June 3 to mark the occasion of World Environment Day (which was officially on June 5, a Sunday, and the reason we held our event two days earlier, on a Friday), an event that was created by the United Nations that encourages worldwide awareness and action for the protection of our environment. Since it began in 1974, World Environment Day has grown to become a global event that is celebrated in over 100 countries. Our Syniverse team included over 20 members who took time from their workday to participate. 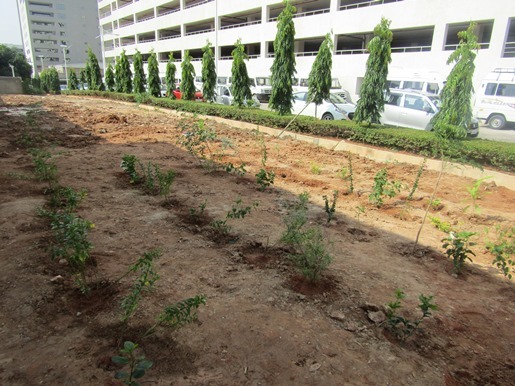 Working with the team from the company that owns our office building, we planned spaces for the trees, dug holes, inserted saplings into the spaces, and watered each new tree. For just a few hours of work, we made good progress in transforming an empty, hard piece of land into a new green space that we hope will provide shade, clean air and natural beauty for residents to enjoy for years to come. 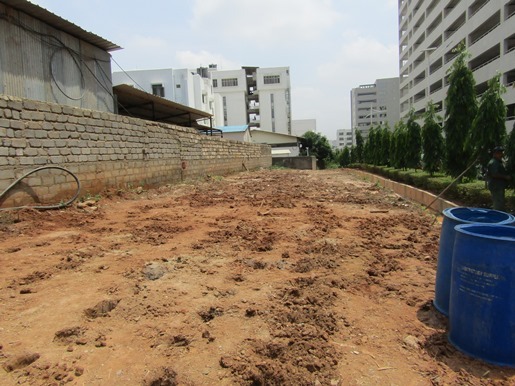 Before planting: Our area was an empty space of hard dirt. After planting: Our area is a new green space with rows and rows of saplings. 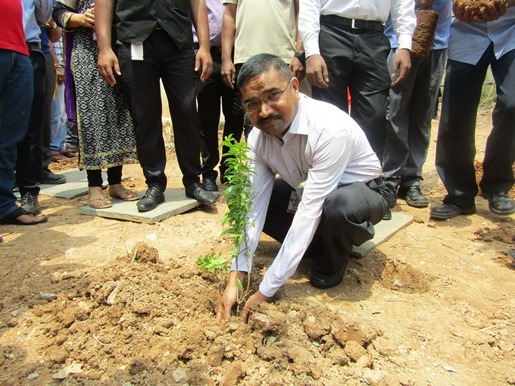 For me, one of the most rewarding parts of this experience was witnessing how this event represented another milestone in our employees’ growing commitment to protecting our environment. In a year of low rainfall in our area, we’ve realized more and more ways how we can make a difference. Many of our employees, for example, have begun putting new plants outside their homes to add more green to the local ecosystem. Others have begun more carefully using water, reusing water for some activities that don’t require clean water, and starting to implement rain water harvesting so they can reduce their tap water use. And some employees are even using solar energy technologies now to save on electricity and water use. In these ways and more, I’ve seen more awareness by our office about the importance of more efficient use of natural resources and protection of the environment, and the ways in which our contributions can help. More broadly, it’s rewarding to add one more accomplishment to the range of local Syniverse philanthropy efforts taking place at our offices around the world. I think I speak for all of us at Syniverse when I say that we try to make a difference in our local communities in a number of ways, from financial giving, to volunteering, to partnering. 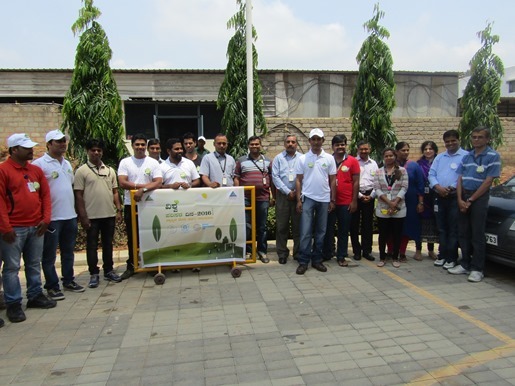 The Bangalore team is privileged to have had an opportunity to make a contribution to this effort, and we look forward to more of these opportunities to come. Basawaraj Pagade is Technology Director, Operations, at Syniverse's office in Bangalore, India.